Northwest of Tampa, new homes in Spring Hill, FL are now selling at Talavera. A beautiful tree-lined community offering new consumer-inspired one and two-story single-family homes on over-sized home sites. 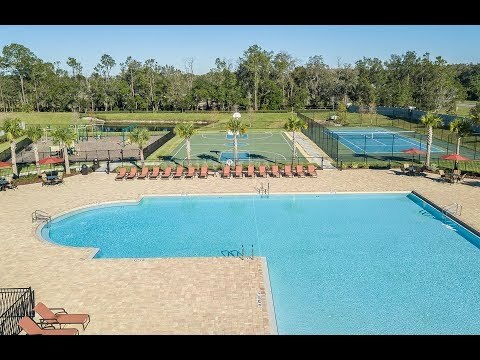 Your family will love splashing around in the community pool, taking in a game of tennis, and enjoying the abundance of nearby park and recreational options. Explore Talavera. The life you want, where you want to live it, has never been so attainable. Oasis perfects single-story living with a flex room, an over-sized laundry, and space to help keep your family organized. The single-story Palm stands out with options, such as a third bathroom or an in-law suite. From the welcoming gathering room and multiple flex areas to the oversized game room upstairs, space abounds in the Mariner. The two-story Palm Grand stands out with its over-sized loft and options, like a third bathroom or an in-law suite. Find the flexible space you need in the Dockside Grand: two flex rooms, a multi-use loft, and an extra garage bay for storage. Whether it's splashing around in the community pool, relaxing under the cabanas, or playing on the basketball court, Talavera is designed with you in mind. With nine consumer-inspired home designs, our new homes are perfect for families or all ages. East of the Gulf Coast beaches and north of Tampa, Talavera in northern Pasco County offers easy access to Tampa Bay area workplaces and nearby shopping centers. Talavera is adjacent to the nearby Suncoast Expressway, I-75 and has its entrance on US-41, providing a short drive to Brooksville to the north, Tampa to the south, and New Port Richey to the west. Tampa International Airport is just under 40 minutes away from our model homes in Spring Hill.